Want to bring the outside world in? 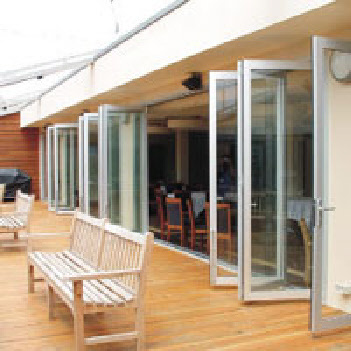 Bi-fold doors allow you to open up to the outside world, our Bi-fold doors allow for a smooth transition and stack to one or both sides providing you with unobstructed views whilst making your premises inviting for the outside world. 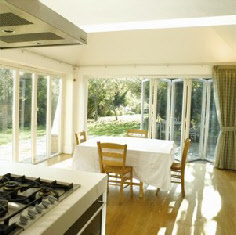 See how the installation of the Bi-Fold system offers unobstructed natural light to flood into your chosen space. 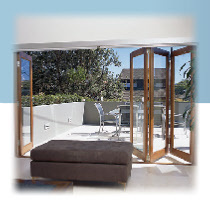 Once you open the doors you will see how the doors really do bring the outside inside flooding the room with ventilated air and light. Your views are opened up to make your garden part of your living space and enlarge your room Ideal for entertaining in the summer months.